BackTrack aka Catchfire on VHS. 1992 Director’s Cut by Dennis Hopper. Starring Dennis Hopper, Jodie Foster, John Turturro, Dean Stockwell, Fred Ward, Joe Pesci, Catherine Keener, Vincent Price. With Charlie Sheen, Toni Basil, Alex Cox, Bob Dylan, Catherine Keener. 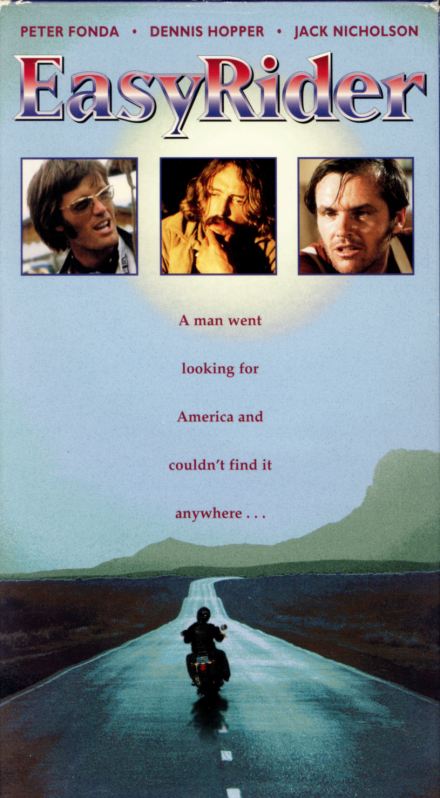 Theatrical release directed by Dennis Hopper as Alan Smithee. 1990. Jodie Foster stars as Anne Benton, an artist who see’s what she shouldn’t — a mob assassination. The police want her to testify; the mob wants her dead. So she goes on the lam, moves to another state and adopts another identity. But she can’t hide from Milo, the mobster sent to kill her. One look at his target and the hit man has a change of heart. He doesn’t want her life, he wants her love. Before long this unlikely couple is on the run from both the cops and the crooks, dodging bullets and trying to sort out who to trust, who to kill, and who to love. Blue Velvet on VHS. Starring Isabella Rossellini, Kyle MacLachlan, Dennis Hopper, Laura Dern. Directed by David Lynch. 1986. 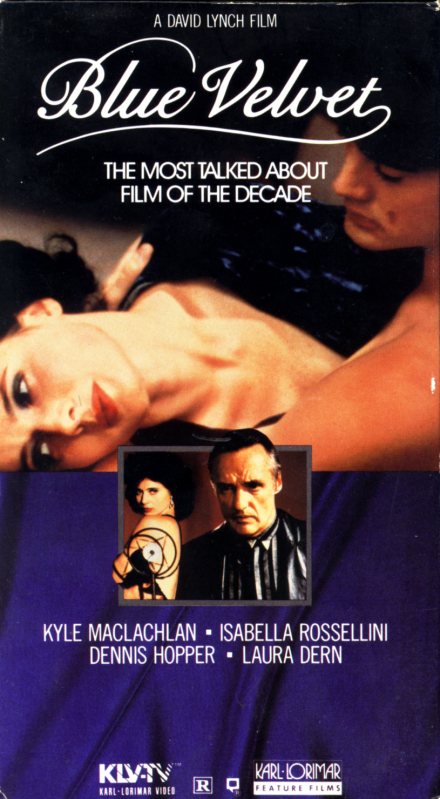 No film in recent history has generated more praise or more controversy than Blue Velvet. Director David Lynch (Eraser Head, The Elephant Man, and Dune) takes you on a surreal journey that peeks through the windows and over the well-trimmed hedges of a small town to discover murder, mystery and perversion. His hero (Kyle MacLachlan) finds a severed ear whose trail leads him to a detective’s daughter (Laura Dern) and a mesmerizing beauty (Isabella Rossellini) with a terrible secret. Dennis Hopper’s ferocious performance as the sadistic villain is already legendary. Disturbing, astounding and sometimes oddly comic, Blue Velvet is unlike anything you’ve ever seen before; one touch and you’ll never be the same.